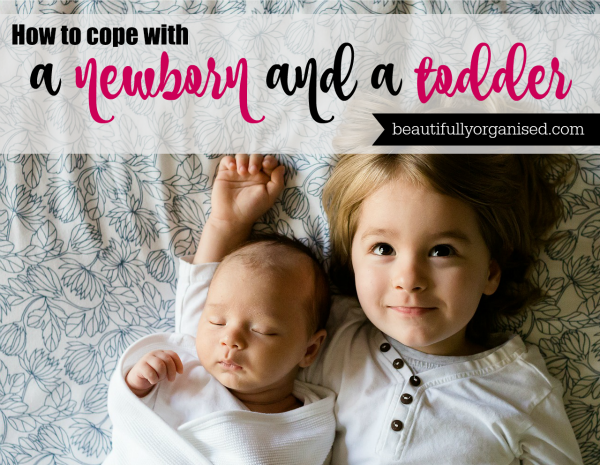 Today we talked about bringing home baby #2 and ways to make the transition from 1 child to 2 a bit easier and less overwhelming. Tips to make day to day life easier for you as the parent. I shared 10 things that made a real difference to us when we first brought Georgia home. Try not to make any big changes just before baby comes - think changing to a new room, toilet training, etc. If something HAS to change, celebrate the change by saying it’s for the older child, not because the baby is coming, and try to do it around 3 months (or more) before your due date. When the new baby arrives, have the baby 'give' your eldest child a small present (we used a small book) the first time they meet, so that your toddler's first impression of the new baby is a great one! Remember that to your older child, all of a sudden you are holding and cuddling a new baby instead of them, so if you can, give the baby to someone else and hold your older child when they're with you in the first few days. Worried about rough play and forceful kisses? Tell your child that “Baby sisters / brothers love their toes tickled gently”. You're still giving permission for gentle touching and bonding rather than having to say 'stop' or 'no'. Share a book that describes what it's like to have a new baby arrive. We read “There’s a house inside my mummy” so many times throughout my second pregnancy so by the time Georgia arrived, it was nice, but not a shock to Sophie. Playtime: Know that if your older child seems needier, it’s totally normal. We made play time as snuggly as possible. Reading together, puzzles, drawing & colouring next to each other with the baby either in my arms or in the bassinet or bouncer were pretty much play staples. Get some rest: I know it's a cliche, but in the first couple of weeks when your newborn sleeps more during the day, you should rest and give your body a chance to recover. With a toddler that's not easy, so each day after lunch we had mandatory nap time like at preschool, and later, rest & movie time when Sophie didn't nap anymore. That way Sophie and I could chill out while Georgia slept. Daily Life: I’m a book mum, so I found Gina Ford’s The Contented Baby With Toddler book really useful. It’s not for everyone, but if you are like me and love structure, routine, and knowing what to expect next, you’ll love this book too. It walks you through the day so you can flow easily from morning to night and manage both baby and toddler without feeling like you are ignoring one or the other. Night time waking: One of the things I was most worried about was that the baby would cry in the night for a feed and would wake up the toddler. Turns out, it didn't happen once. Plus, on talking with other mums of kids in both separate and shared bedrooms, every one I talked to had the same experience! I'm sure there are exceptions, but generally speaking, if your toddler sleeps through already, your baby won't disturb them. Hope that helped! If you're having baby #2 soon, congratulations!! if you've had 2 or more already, I'd love to hear your tips for managing - comment below or come and let us know on Facebook :) Don't forget to send in your questions for future shows, and tune in next Monday at 1pm Sydney time! !